Don't want to miss any new homeschooling posts? If You Thought I Was Crazy Before, Wait ’til You Hear This One – My original post announcing our decision, along with my sad ending… Thank you all so much for your encouragement and support! My detailed and desperate request for your curriculum advice – I've been devouring all of your comments and making a big list of what I want to pursue. I welcome more input anytime! Working myself out of a job and why my Hubs rocks – homeschooling updates! What to do about boredom?? When You're Tired of Always Being Needed – I just posted this at my other blog and it was very reassuring to me as a homeschooling mom! Why Homeschoolers Need Other Homeschoolers – Find out what turned me into a sobbing mess the other day. What About the Common Core Curriculum? How Might it Affect Homeschoolers? Thanks everyone who has added your name to the list here, but I’m wondering if I shouldn’t just ask you all to sign up at the blog for updates, that way you’ll get new post notifications as soon as they’re live. You could also sign up here: https://kellythekitchenkop.com/kk-emails/. I’ll still try to remember to update this post, though. Also, have you looked through all my post posts on homeschooling here: https://kellythekitchenkop.com/category/homeschooling/? Would love to get your updates! This is our first year. I really needed a little boost this week and your blog was great! getting some real feedback and information from someone who is experienced in homeschooling is really great, thanks so much for sharing the posts. Thanks for this. It helps me a lot. Yesterday I put up a new homeschooling post, where I ask you to tell me what your homeschooling DAD is like? And I share some advice from a talk we went to last weekend by Michael Farris. Please comment there and *also* I’d appreciate advice for those who are homeschooling without support from their spouse. Thanks! Please add me to the homeschooling updates.Thanks. We’d love to receive your homeschooling updates! Thanks!! I’ve been following your blog and, you know, you’ve had a very trying summer. Does Michigan have some kind of law that you have to start on a certain date? If not, stop stressing about it! We’ve had years that we got it all done, and years where we went through the next summer and still didn’t get it done. As part of the sandwich generation, we’ve started at the same time as the public schools and some years, not. Some years we’ve ended early and other years, not. It’s all good! Really! I just graduated my oldest and she starts college today. It will all come together. I know you’re right! The problem is we have SO many kids in our neighborhood, which is great for our kids, but I just know that if we don’t get on it right away, we’ll start out with me feeling “behind”, and I don’t want to start that way. Yet, being stressed isn’t good either, I know! OK, I’ll just see how far I can get this week and go from there. Thank you for your sweet encouragement to chill out!! Big hugs back at you and thank you so much for the prayers, I really need them. And the other thing is that we all *really* need to get back to a routine around here! Please include our family on your homeschooling updates list 🙂 Love your site! Yes please! My husband and I were in a discussion one day. Our 3yo just couldn’t wait and started on her preschool curriculum all by herself. “I’m starting school! !” I guess so! Pre-preschool. 🙂 I’m looking forward to your posts, Kelly. I’m writing from Italy, and today in the Ambrosian rite (practiced in Milano and surrounding area) it is the first day of lent! Could anyone kindly give me feedback regarding the St. Thomas Aquinas Academy programme, as well as the Great Books programme? Is there another programme with a distinctly catholic imprint ( I was attracted to the early introduction of philosophy and latin in both programmes but we will need flexibility as we will also have to continue our Italian curriculum). I’d love homeschool updates please! I’m considering homeschooling next school year. My husband recently changed jobs and will be traveling during the week and home weekends. In order for us to see him more, the kids and I have decided to homeschool and travel with him on occasion. We are looking for a curriculum that will travel well or an online program. Any suggestions? Thanks! My first thought was, “ALL of them travel well, that’s the beauty of homeschooling”, but maybe someone else can give you a more specific answer. Also, see the posts listed above that mention curriculum, that would probably give you a good starting point. What an exciting adventure for you and your family! I just started homeschooling a few weeks ago. I’d love your updates. Kelly, I’ve contemplated homeschooling for a couple years, but I just don’t have the guts! Our school has started free breakfast for the whole school under a USDA program for schools with a high percentage of free/reduced price lunch students. I want to fight fight fight the food in this program, but as a crazy wanna-be homesteading, real food, and Libertarian leaning mom, I’m kinda tired of fighting … Has the time come to forgo activism and concentrate on family preservation? My correspondence with our school on the food subject is the most recent blog post I’ve done if you’re curious how that went. All the other wierdo parents like me are already homeschooling or kids are in private schools, so finding out how other parents deal with the food at school issue has come out pretty empty 🙁 thank you for your homeschool posts! I am curious, where is your most recent blog post please? Notice how carefully I avoided non-mainstream nutrition info. Thanks for your interest, and I would love to be in touch with groups or individuals that oppose the crazy nutrition standards for school food. I have no idea why, but I’m not getting new comments to my inbox, so if I don’t respond to you, that’s why! As far as your question, I do believe plenty of parents who are ‘real food-minded’ are still in the system and trying to fight it the best they can. I’ll bet if you take the plunge and ask a few parents as you’re standing around on field trips or at school parties that you’ll be able to find them that way. I’m a homeschooling mom and we love it! I’m glad your blog was sent to me. I’m a work at home mom also! I can’t imagine not spending each day with my child. It’s so nice to bond this way. Yes, some days I want to pull my hair out. But watching her learn is so amazing. Thanks! I would love to have the homeschool updates. I have started homeschooling my 5 year old (and I have a 3 year old and a 1 year old at home as well). I have discovered that I need all the help I can get! I would love to hear from you about your experiences. Also, up above the comments there’s an orange box where you could sign up for email updates so you don’t miss anything. The correct link is: https://www.hslda.org/legal/cases/romeike/petition.asp?src=slide. Neither of the above links (for the German family) are working. Can they be fixed? Thanks! I don’t know if you’ve heard of this yet, or if anything has been posted yet on your blog, but I wanted to share this with you. If you feel you want to share this to be able to get the message out to a large number of people, please do. I got an important message from a friend of mine, regarding a German family, the Romeikes, who homeschool their kids. The story is below. They have an upcoming court case to decide whether or not they will be deported back to Germany, where they’ll likely be in a lot of trouble and possibly have their kids taken away just because they decided to homeschool them…which is unlawful in Germany. The e-mail from my friend Candie follows. Here is a more direct link to read and sign the petition: (https://petitions.whitehouse.gov/petition/immediate-action-requested-romeikes—grant-permanent-legal-status-persecuted-german-homeschool-family/). People who sign must create an account first. The Romekes are friends of ours from Tennessee. They are a German family that fled Germay in 2008 after the police had forcefully taken their children to school, because the Romeikes wanted to educate their children at home. Thankfully, they were able to get their children back and come to Tennessee, where an immigration judge granted them political asylum. But the current administration has decided that it does not approve of what the judge decided, so there is a case called “Romeike V. Holder”. Attorney General Eric Holder, Head of the Department of Justice, has come out and said that forbidding homeschooling is not a violation of fundamental rights. This is a watershed case. If the administration ulimately wins, the Romeikes will likely be deported back to Germany, where there children could be taken away. But it the Romeikes win, a strong precedent for the right to homeschool will have been established at the federal level. Please sign the petition to help the Romeikes stay in the US so that SCBC’s babies will have the same liberties their siblings and parents had–to be raised in the fear and admonition of the Lord in peace. Even if you have already signed, please tell others about it–we still need many signatures. Note from Candie: I am sure that the Romeikes don’t want their kids in a govt run school in Germany where they are being taught lies and things that go against the Bible. If this can happen in Germany it can happen here too. So sad that the German govt would take away the parent’s right to make decisions about their children’s schooling. Just think about what our kids here in America are being taught by the public school system. I encourage you to sign the petition. I am not good about these things, but I am going to try. Please tell others. I think the petition requires 1 million signatures and they only have 600,000 so far and the deadline may be next week. I saw this family interviewed on Huckabee last night. I would love to be included on your homeschool updates. I just found your blog today after listening to your talk on the Healthy Living Summit. I love your blog; it is a wealth of knowledge on real food AND it includes a homeschooling section. It doesn’t get much better. 🙂 I pray that your work will continue to be blessed! I just posted this at my other blog and it was very reassuring to me as a homeschooling mom! I’ve been suppressing a question about homeschooling. Here it is: Is homeschooling an activity that adversely profiles one? As more likely to be vaccine-resistant? to wind up on a no-fly list? Or anything like that? Forgive me if this has been mentioned already (eyes too tired for one more search) but I’ve been subscribed to this thread & have not seen any such comment. Speaking as someone who has achieved 70 years, this question of the Great Dumbing Down in Murka is an anguish. Most people over 65 are on 5.5 prescription medications. This is astonishing … and to my mind directly correlates with school system trends. My graduating generation of 1960 were the last generataion of high SATs, until they curved the averages again. I believe another indicator of growing ignorance is that elders who are medication free are anomalies … even sort of exposed or at least demographically visible. So I feel drawn to support any counter-influence toward an “informed public”. Rather than at life’s end be at the mercy of a robot-mob. On the other hand, for my personal self, I’m grateful beyond words that I was able in childhood to escape my parents for at least 5 days out of 7. Our home atmosphere was already academically over-rich. For us the risk was the non-educational forms of neglect. Offspring of The Greatest Generation, so mobile in post-ww2 US and Europe (for different reasons) that the family shifted to contain only 2 generations, not 3 –definitely a risk factor for the youngest. Child-rearing was of necessity outsourced to medical/educational system; our parents were catching up for a decade lost to Depression & War. & the prospects of growing old among an ill-educated generation of “caretakers” who are taught to patronize and “manage” their clients in Eldercare … because they are so medicated. So Alzheimer-ish. What’s to respect? Makes a huge difference in late-life planning. An insured facility for “assisted living” is bound to mandate prescriptions as part of administrative efficiency. Well ooops I ramble again. Love your blog! Curiously enough, through it, I feel like God is leading me to homeschool! When you announced it last year, I was so curious about it, even though I have always been the mom that thought homeschooling was crazy! Fast forward to now & it’s something my family is praying about & seriously considering for next year! Thanks for all of the info! I’m really frightened that I will not be capable of doing this (I would have to teach my boys in english AND italian as we are living in Italy and enrolled in the public school system here). I have about two and a half more weeks to decide ( the deadline is Lent, ironically! ), home schooling is extremely rare, teachers and civil servants are extremly hostile to the idea . . . another fear is becoming isolated and causing my children to feel isolated. God has answered my prayer of finding a few other mothers who are either homeschooiling or would like to homeschool, but our concern remains the exams that our children would have to undergo at the end of each year. Are you forced to do this in the U.S. as well? We don’t have to take end-of-year exams in Michigan, but I’m not sure about other states. If you’re in touch with others who homeschool, it seems like they’d be a huge resource to you, as far as what would be on the exams, finding other friends to socialize with, etc. Love to have your updates please! I signed up before, but I’m not sure if I’ve been getting the updates. So sign me up again! I would love to get your homeschooling update!! Glad you are homeschooling. God is amazing! I have not been getting homeschool emails…trying again ! Trying again – would love to continue getting homeschool emails to see how your adventures in homeschooling go…I believe checking below on the “Notify me of followup comments” is the right box to check? Not sure if I got the last post, so commenting again to be sure. Hi please add me to your mailing list. Thank you. Responding to email for help regarding email notifications about homeschool posts! It’s been a while but I knew there was a reason I needed to check your website today! I have been desiring for years to homeschool my boys but had been falsly informed that in Italy it is illegal, and after having changed schools 2 times in one year I have to accept that there is no public institution out there that can adhere to all of my requisites. Please consider me signed up for your posts! I am going to start homeschooling next fall. I would love the updates! I would love to get your homeschool updates. This is my first “official” year but so far, so good! I appreciate your information, and would love to hear more! Congratulations on deciding to homeschool! I took the leap of faith and started homeschooling my 9 yr old this year. I would love to receive future posts about your homeschool experience. Yes, send me homeschooling posts. I’d like your homeschooling comments! I would also love your homeschool updates!! Thanks for any advice you have for me! I forgot to post a comment here, to tell you about my newest homeschooling post in case you didn’t see it on the feed over the weekend. I just graduated my first of 3 after a lifetime of learning at home. Wow! It’s even hard for me to believe we’ve come this far! But it’s been a great adventure, and I wish the same for you! Keep me posted! I’d love to be updated on your homeschooling adventure! I’ll be starting mine in about a year and a half and I can’t wait! I’m a retired homeschool mom but really never quite gave up the lifestyle mentality. I’m a grand mother now and still love to learn and teach. There’s always more to learn and more to read about. Whew even writing that makes me tired ha! Reading,writing arithmetic…. Basics…can they read,can they write,and do math….and think for themselves . To this day they will offer me a pat on the back and say Thanks Mom! So enjoy the adventure it will greatly mature you! Would love your homeschooling updates! We are in our 12th year of homeschooling and love it. Our son is entering 11th and our daughter graduated our homeschool in 2011. I distinctly remember when we got ‘the calling’ after our final horrific year of trying so hard to make the public school work. We pulled our daughter out by 3rd grade and our son never had to experience the dysfunction! I honestly had never heard of homeschooling until we moved to this small town and I thought it was the most ridiculous thing—-never thought in a million years God would be calling me to this. Our main curriculum has been Sonlight since 2005, which makes it really easy because everything is scheduled out already and the instructor guides are awesome. We are also gluten free natural foodies, use natural everything else in our home AND we are Catholic—-so I guess we are just weirdos all the way around ;). Good luck and enjoy the journey! I’ve just put a new post up with homeschooling updates! I know I’m risking a flood of emails in my box, but it’s worth it to know this is working. If you get this comment as an email notification in your box, will you reply to it and just tell me so? Would love to have updates! I’d love to hear your updates. I have a 2.5 year old and a 19 month old and I’m a teacher. Homeschooling for my children has crossed my mind more than once. I would really like to hear more about your experiences with it! I too am homeschooling – it’s our third year, and he’s going into 8th grade – I would love to hear how it’s going for you, as we contemplate this year how to do the high school part after this year..
And yes, I would love to get your updates please. I’d like to get your updates. I’d love to get these updates, too! Thanks for posting your journey with this! I would love to get your homeschooling updates! We are starting our journey this school year as well for our 4 children because we have been called to do so. I think I am going to use Seton because it is good solid curriculum and I am afraid to piece my own together for my first year. I am so happy to hear of another homeschooling family in this world. It will be one of the greatest things for all of you. It will be hard, you will probably shed some tears and be frustrated, but it is worth it–for everyone. What a journey you are getting ready to go on! God is definitely moving in your lives. Hey all, I’ve got a new post up! We just had our first baby but have already decided to try homeschooling when we get to that point. It will probably take me the whole time to figure out what to start with, and your posts will sure help. Thanks for including your readers! I would love your updates!! I would love updates… I am going to start homeschooling my daughter this fall, kindergarten !! I’m a veteran homeschooling mom who’s kids have flown the coop, but I my interest in homeschool has not waned. Would love to read about your inquiries, your revelations, your excitement over new things discovered, and your full realization of how awesome and freeing homeschooling is. I think that is wonderful! I do not homeschool, but have chosen a small Montessori school for my daughter’s education (it goes through 8th grade). What I love best about the middle school program, is that it takes place on a farm! Farming is incorporated into the curriculum (and this is in a Chicago suburb, not middle of farmland!). I choose to do this for many of the same reasons you are choosing to homeschool. I was a public school teacher for years and have no desire to go back to teaching there. That system is broken and I do not want my child to be a part of it. I always frowned upon homeschooling when I was teaching, but now that I have a child, am no longer teaching, etc., I absolutely see the value of it for some families. If I lived somewhere where I did not like the alternative school choices, I would probably homeschool too! Good luck! I am sure it will be a great success! Your children will come around. When they finish school at 11 am and can play and have no homework, I am sure they will enjoy it! I’d love to hear your homeschool updates. We have decided to go that route with our twins. They are 4.5 and I’ve started doing pre-k work with them. I’m researching curriculum right now and it is overwhelming! I want a secular curriculum, which seems to be a bit harder to find. I want to hear your homeschool updates. Maybe you need to start a new blog. How, how, how did I miss this monumental decision and those posts??? I’m heading back to read about your decision and I am soooo excited for you :). I homeschool a 5th grader, 10th grader, and 11th grader – yikes, seems impossible that they are growing up so quickly! This will be my 12th year homeschooling (only the children get older, right??). Every year has been a joy. I blog about random things but if you do searches in my search box or if I can help in ANY way let me know. For example, I just posted about some younger Montessori works but also about high school British Literature. How exciting that so many of you want to receive these updates! If you’re reading this email with notification of this comment, now you know how I’ll let you know of any future homeschooling posts that I put up. I’d love to get the updates. Please send me your info on homeschooling. I am very interested. Thank you!!! I am very interested in starting to homeschooling but I need a lot of help. Please send me your notifications. I would like to get your updates. I would love to get your updates! We will be homescooling this fall too and I am so interested in hearing about your adventure. Like you have the many questions about curriculum and how homeschooling should look like in our family. Keep me updated! Best wishes! this will be our 2nd year (and first in High School!) so I am still learning a lot. I would like to hear updates, too. I have homeschooled for the past 6 years. I have children in 6th, 5th, 3rd, and 1st. Please send me updates. Thanks. Sign me up, please! Home educating is a beautiful journey with all of life’s ups and downs, but filled with double-fold the blessings. I’d love to keep up, too. We’ve homeschooled for the past 8 years (since my oldest was in K; he’s going into 8th this year). I agree real foodies and homeschooling have a lot in common! We’ve used lots of things over the years, and just had our best year yet (in spite of adding more students than ever — 6 — as my five- and three-year-olds insisted on having lessons, too!). You could also add a homeschool tab at the top of your site. You will have soooo much more to write about. Homeschooling and real foodies go hand in hand around here for sure. At a local homeschool day we had weekly real food demonstrations for the mom’s while the kids were in classes. Yes, I want your undates. I would like to get your updates. This is our first year using homeschooling for our 9th Grader using FLVS. I’d like to read your homeschool updates. I would LOVE to receive your homeschooling updates! I am currently using a homeschool preschool curriculum with my 4-year-old son and would like to continue homeschooling him. Thanks! Keep me updated, we plan on homeschooling. Please count me in! Homeschooling is awesome!. I pulled my kids out too. This will be our 5 year. Sign me up too! I’d love to help my daughter homeschool her kids but I just can’t talk her into it and she has a degree in Montessori Education! I would love to read about your homeschool journey. I homeschool our 4 kids and love it! Glad you are excited to educate your kids at home. I have been living vicariously through this post. Please keep me updated! Yes, I want the updates, please. I’d like to hear your updates! I would be interested in your updates! I would love to recieve updates on your home schooling journey. I am a home schooled student, starting my Senior year early so I can graduate before next goat kidding season. Good luck on your homeschooling journey. My two children are both (and have always been) homeschooled. I’m starting up my second year of homeschooling this year, and I love learning from other generous moms like you! Sure! Bring on the homeschool updates! Please include me! We have a 7th grader and are contemplating and praying for clear direction on bringing her home for next year. Keep me updated too ! I love reading what others have to say. Our family has been homeschooling for many years. We have two teen boys that are high school (9th and 11th). Then we have three other children that are elementary (4th, 3rd, and 1st). I would love to get your updates, I have a soon to be pre-schooler and I want to get our homeschooling started soon. 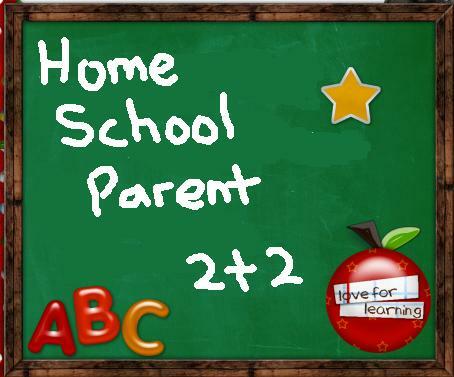 I would love to hear more from any single parents who homeschool as I am a single parent, working from home, who is considering homeschooling my 12 and 15 year-olds who both have expressed a desire to be homeschooled. Thanks. yes, please include me in on your homeschooling updates. Am considering doing this myself next year with my 2 kids. Thanks so much!! This will be our first year in the fall,,,I want to hear more! Congrats and welome to the Club! God will bless you for being obedient to “the nudge” of the Holy Spirit to follow Him. Forget the critics, because on Judgement Day it is you and your husband that will held accountable for your obedience or lack therof. My God will supply ALL your needs according to His riches and glory! Keep up the great work with your blog/business – it is really a blessing tome! I’d love to get your updates. We are also homeschooling for the first time in the fall and can use all the help we can get! Since you sparked my interest and made me consider if I could do it, I’d love to hear more. I’d love to get your updates. I have been praying for awhile now that the Lord would change my husband’s heart towards homeschooling, but it isn’t in His plan for us yet. Keep up the inspiring work! Would love to get your homeschooling updates! Please sign me up for your homeschool blogs! And don’t worry if you can’t write too much, we can’t read too much, we have to teach, too! But it is so nice to be connected with like minded homeschoolers! Maybe we can all plan a wonderful field trip! We’d love to get updates as well. We are thinking about starting homeschooling too. Ooh ooh! me too! Me too! 😉 My daughter will be 4 on Monday, so I am lucky enough to have started on the ground floor a few months ago (i.e. less pressure for me). This was a very unexpected route for us too, and I’m still gathering all of the info I can like a madwoman. I would love to read about your homeschooling adventures! We’re starting homeschooling in the fall too. I’d love to get your updates! I would love to get your homeschool updates. I have been loving your blog for a while now and am sooo excited that you are choosing this path. We have homeschooled our 4 girls for the last 20 some odd years using just about every imaginable curriulum and sometimes no curriculum at all. 🙂 I graduated my last one literally just a few weeks ago. So if you have any questions for a long time veteran, I would be happy to try to help. 🙂 Sooo excited for you on this new journey!!!!!! More input is always beneficial!